Brexit and the Turkish 'Coup' - Setting the Stage for the End Times? 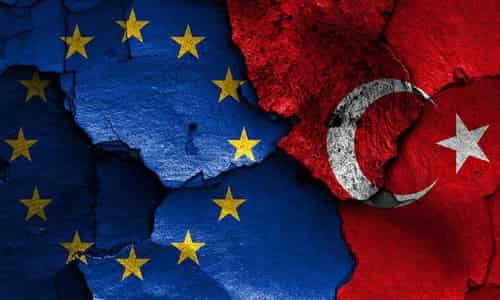 The Brexit and the failed Turkish coup were two momentous events that have set into motion dramatic changes in both Europe and the Middle East. 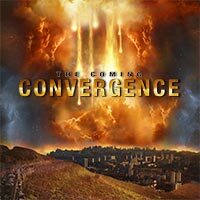 Could these significant events also be setting the stage for a greater fulfillment of End Time Bible prophecy? 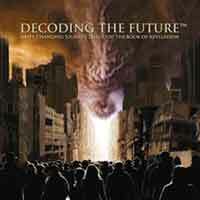 Students of Bible prophecy have long been expecting the rise of the final empire of the anti-Christ. The traditional and widely held view  as portrayed vividly in the popular Left Behind series  is that this empire will arise in Europe as a revived Roman Empire. A less widespread view which has gained attention in recent years is that this final empire will arise out of the Middle East  and that the empire of the anti-Christ could even turn out to be an Islamic empire. This article will not look at the scriptural case for/against either view. 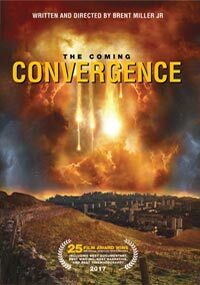 It will instead look at recent events, including the Brexit and the failed Turkish coup, to see whether these are bringing us closer to or further away from either of these End Time scenarios. Since its formation with a treaty in Rome in 1957, the European nations have been methodically working towards becoming a super-state with their own unified military, currency and parliament. The EU has since that time been viewed with keen interest by many Bible prophecy students, who see it as a possible revived Roman empire that will one day set the stage for the anti-Christ. Several interesting developments have strengthened the anti-Christ credentials of the EU in recent years. Many have noted how the EU Strasbourg Parliament building was constructed in the image of a famed painting of the Tower of Babel  the ultimate symbol of mans rebellion against God. In addition, Euro coins are decorated with a mythological woman named Europa riding a beast  and this motif is repeated in a large statue outside the EU government headquarters in Brussels. Could this be exposing the identity of the EU as the woman on the beast who features in Revelation 17? While the EU has some intriguing anti-Christ characteristics, recent events have exposed serious weaknesses and malfunctions in the Union. Britains decision to leave the EU, will undoubtedly weaken the EU financially, militarily and diplomatically  at least in the short term. In addition, the Brexit has encouraged leave campaigns in many other European nations including Netherlands and France  and if the EU leaders are not cautious, they could soon face a stampede of countries leaving! The recent migrant influx has exposed the EU as a slow, dysfunctional and disunited entity unable to quickly and effectively handle crises. Further slowing down its decision making, the EU is hampered by a massive bureaucratic system that is tasked with translating all its documents into the 24 official languages of the EU! If the EU was to become a revived Roman Empire fulfilling Biblical prophecy, it would need to unite in a much more centralized way and be far more efficient at handling crises. While there appear to be plans in place to move in this direction  it could take a long time to bring to fruition  especially in these times of disunity and dissatisfaction with the European experiment as the EU has been called. In addition, to match the Biblical description, the EU would have to strongly embrace a false system of worship. While many have suggested that the EU might embrace some form of Catholicism, EU leaders appear determined to ignore Christianity in the future Union. An example of this is seen in the draft EU constitution of 2003. Despite high level lobbying by the Pope and conservative leaders, the draft failed to include even a passing reference to the role of Christianity or a belief in God in the forming of Europe. This goes to show that the EU has a long way to go before it would willingly embrace a false system of worship at the core of its identity. In addition, the EU  which loathes capital punishment and has a rule that no member state can have the death penalty on its books - would need to bring back capital punishment  and specifically beheadings (as foretold by Rev. 6:9). While the EU certainly could morph into an evil empire of this nature, it looks unlikely for this to happen anytime soon. I believe the Brexit has weakened the case for a rapid rise of the EU as the empire of the anti-Christ. A less widely held view of prophetic scripture foresees a revived Islamic caliphate in the Arab world arising as the final kingdom before the return of the Messiah. 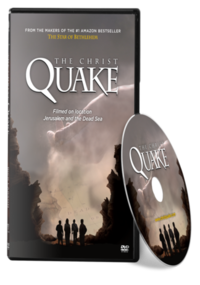 This view holds that the Bible is a Middle East centered book and that most of its prophesied future events concern Israel and her surrounding nations. Joel Richardson  a missionary and Middle East expert - points out some uncanny similarities between Islams expected future Mahdi (or Messiah) and the Biblical description of the anti-Christ. According to Joels book, The Islamic AntiChrist, Islamic scholars believe that their Mahdi will enter a 7 year peace treaty, will conquer and rule from Jerusalem, will viciously persecute Christians and Jews and will be accompanied by a prophet (namely the Islamic version of Jesus) who will validate his rule and enforce sharia law worldwide. It is interesting to note that while End Times beliefs are not widely held in the Western World, a large percentage of the Islamic world hold strong End Time views. For example, a Pew Forum survey in 2012 found that 68% of Turks, 72% of Iraqis and 83% of Afghanis expect the imminent return of the Mahdi. 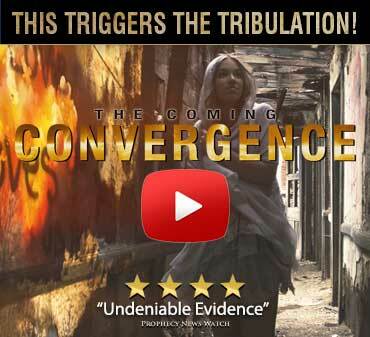 Could these widely held views  and the intriguing parallels between the Mahdi and the Biblical anti-Christ  be setting the stage for an Islamic End Times Empire that embraces a ruler who becomes the anti-Christ? Turkeys leaders certainly dream of heading up a restored Islamic Empire. For 400 years, Turkey was the head of the Islamic Ottoman Empire, and some of her leaders have spoken openly of their desire of restoring Turkey to her former glory. Since he came to power, Erdogan has been accused of weakening Turkeys democracy and leading the nation on a slow path of Islamization. Concerningly, President Erdogan once stated that Democracy is like a train, you get off once you have reached your destination. In the wake of the failed coup attempt, President Erdogan appears to have jumped off the democracy train all together. Having already weakened Turkeys democracy, Erdogan has launched a fresh purge of 60000 people from the ranks of the military, education, government offices, education and journalism. What many observers of the coup attempt failed to notice was the cries of Allahu akhbar from Erdogan supporters as they attacked the coup plotters. According to Joel Richardson, Islamist cries like this would have been unheard of in the streets of Turkey 10 years ago  and shows the rising force of Islamism in the country. , her leaders dream of a restored Islamic caliphate, and executive power is being consolidated in an unprecedented way in the hands of Islamist President Erdogan. This explosive mix of ingredients could pave the way for even more radical changes in Turkey and even the restoration of an Islamic caliphate. World trends teacher Ps. Kameel Majdali frequently tells his listeners to watch Turkey!  and in these tumultuous times we would be advised to watch and pray concerning developments in this key nation. Time will tell the ultimate impact of the Turkish coup  and whether Turkey or another group /nation rises to lead a possible revived Islamic empire. Since the Arab Spring in 2011, the Middle East has been a hotbed of infighting between various Islamist groups  all aiming for the restoration of the Islamic empire under their own leadership. If one of these groups were to succeed in bringing about a restored Islamic empire, then the world would feel the tremors. It would signal a dramatic increase in persecution of Christians  and also the gathering of unprecedented hostile forces against the nation of Israel. Ultimately, such an empire could bear many anti-Christ like characteristics and its rise is a real possibility that should be considered by students of Bible Prophecy. While the Turkish coup is not immediately ushering in an Islamic End Times Empire, it may be a significant step paving towards such a development in the future. Ultimately, only time will tell whether the kingdom of the anti-Christ will be a Revived Roman Empire or a Revived Islamic Empire. As we see empires rise and fall, as we hear of wars and rumours of war  let us not be troubled but rather look with expectancy to the imminent return of our King and the establishment of His Kingdom on earth. Let us continue to pray: Thy Kingdom come, Thy Will be done  on earth as it is in heaven!